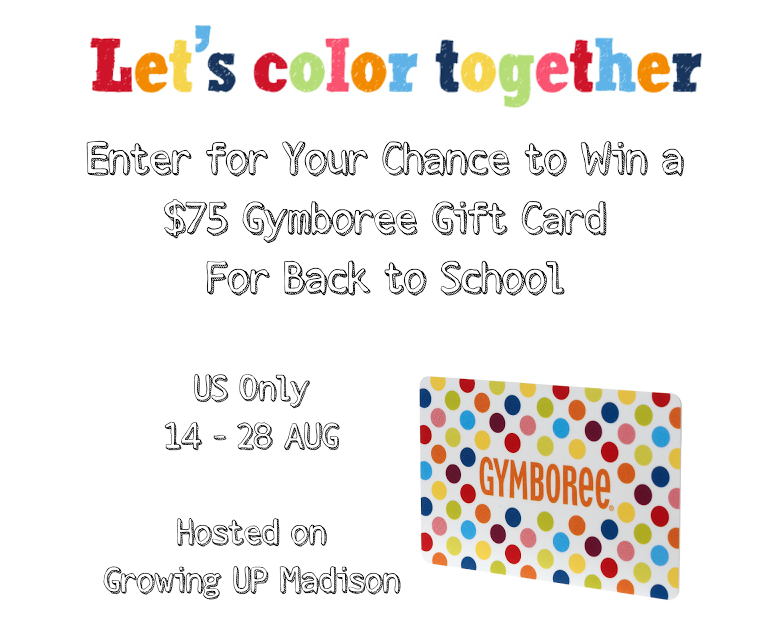 Our friends at Growing Up Madison have an amazing giveaway going on right now! 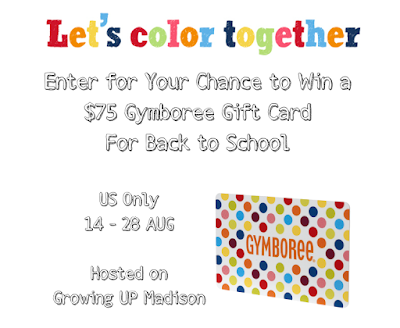 You have a chance to win a $75 Gymboree Gift Card just in time for back to school shopping! While Gymboree is known for their high quality clothing and their mix and match clothing lines, this year Gymboree is raising money to fulfill arts & crafts requests made by teachers on DonorsChoose.org. Gymboree aims to fulfill at least one classroom request in every county where there is a Gymboree retail location. You can get involved by donating at Gymboree stores, Gymboree outlet stores, and online! I really like Gymboree. I think their clothes really hold up well to the wear and tear kids bring.